Recently I was asked by Sports Car Market magazine publisher Keith Martin to write a piece for his excellent magazine. Sports Car Market, (better known in the collector car world as “SCM”). 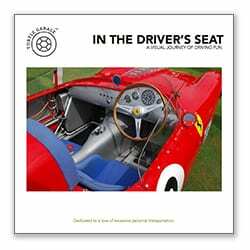 It is the gold standard of publications that follow the burgeoning sport of classic cars. I have been a subscriber and fan of SCM for years and I was honored (stunned?) to be considered as a contributor. For my first article, Keith said I could write about the topic of my choice. I decided to write about something that is close to my heart. I believe the enthusiast car hobby should not be about the financial value of a given car, but rather it should be focused on the driving and social pleasure a car can give its owner. How much a car costs or how much it is worth has taken center stage. To me the hobby should be about fun, enjoyment, and meeting interesting people. Recently we have witnessed a stratospheric rise of collector car prices across the board. Over the last decade even once inexpensive classic cars have become unaffordable. Its not only rare Ferraris that have taken off but also Ford Mustangs, Triumphs, and Austin Healey’s. But there are still options out there! 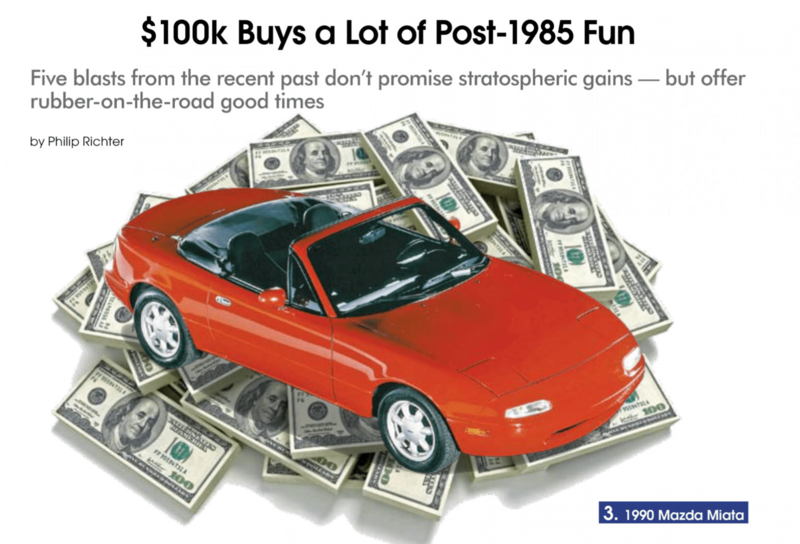 For example, a $10,000 first-generation Mazda Miata is one of the most fun cars any enthusiast can own–at any price! The following article was published in SCM this month and gives some of my ideas on what to own and enjoy in this white hot market. Some of these cars might even be decent long-term investments. I prove that even in today’s market you can still build a great car collection for under $100,000.